Here are some other links you will find useful! 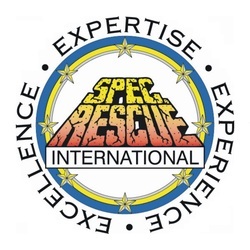 SPEC Rescue - Spec Rescue International provides a wide range of training opportunities for your organization. Our training is unique in that we focus on not just the knowledge, skills and abilities you need to succeed but in our “hidden modules” we focus on teamwork, team lifecycles and team decision training. If you don’t see it in this course catalog ask, we custom design courses all the time. If we don’t offer it, we have a partner that does! Our consulting staff is available to evaluate, review and suggest methods and processes that can enhance your organizational capabilities, improve your teamwork and increase your margin of safety while reducing your risk. Fire Engineering - For over 133 years, Fire Engineering magazine has provided training, education, and management information for fire and emergency services personnel worldwide. Articles are written by experts in the fire service and focus on lessons-learned. Feature articles cover real-life situations such as collapse void search, confined space rescue, high-angle rescue, and extrication. Regular magazine departments focus on education and management issues.